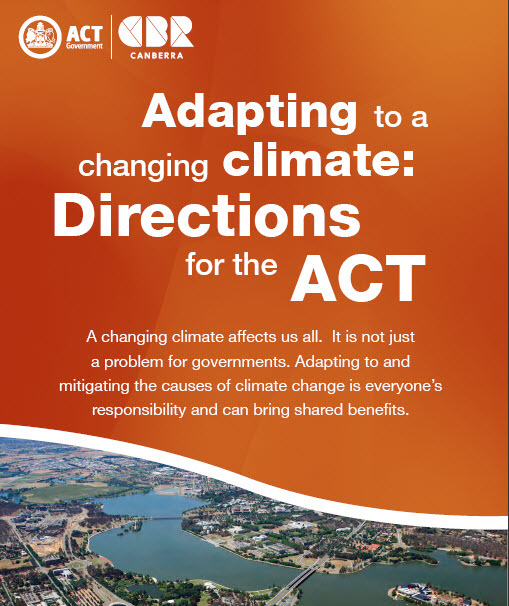 On 21 May the ACT Government has released Adapting to a changing climate: Directions for the ACT (PDF, 1.3 MB). The paper addresses the impact of climate change on health and wellbeing, disaster and emergency management, settlements and infrastructure, water, natural resources and ecosystems and agriculture. 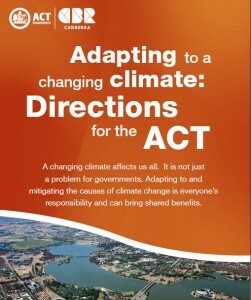 At the launch, Minister for the Environment and Sustainable Development Simon Corbell explained that the Government would consult with the community later this year on an adaptation strategy, focusing on Community health and wellbeing, Disaster and emergency management, Settlements and infrastructure, Water, Natural resources and ecosystems and Agriculture. Professor Barbara Norman explained that we are already living with the effects of climate change on bushfires, droughts, heat, rainfall and energy security. I raised the issue that on-ground actions don’t always support broader strategies, citing three examples of the Government allowing potential green space, which could support vegetation that would help to reduce urban temperatures, to be used instead for car parking that encourages more people to drive into Civic. These are (1) around the heritage-listed Northbourne Oval, (2) on the Braddon Club site, where a residential/commercial development is proposed and the Government allows the Canberra Raiders to operate paid parking that contravenes the Territory Plan, and (3) on a “protected urban open space” at the corner of Barry Drive and Watson Street, where the Territory Plan specifies that car parking is a prohibited use and the Government plans to convert the current car parking area into a bus layover.